Welcome to Pixel Starships, The world's first full control starship management strategy sci-fi mmorpg game in an 8bit massive online universe. Take your crew on an epic journey to explore space. You can download this game here. 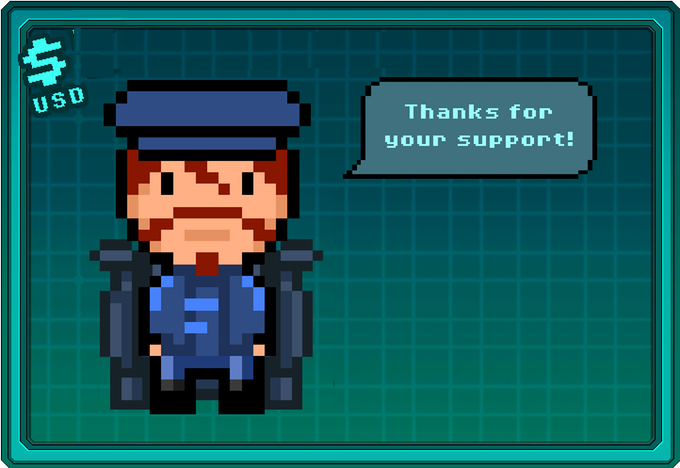 Pixel Starships is community driven, please post your suggestions on our facebook page. Please follow/like our facebook page on the left to be in the loop on the latest news and updates and release details or submit your email to get a notification of major event. Make a Charitable Donation! In return you get nothing... except a great feeling of pride and contribution! Plus you'll help us make progress to the game development! Donations over $60 receive a optional mention in our Credits Page. Subscribe to PixelStarships Beta Ballot and Kickstarter Launch Update. Please enter a valid email address!.